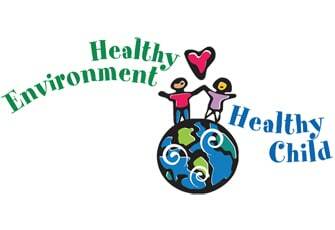 From our air to our water to the products we use on a daily basis, our environment is permeated with harmful substances. Yet very few health professionals have been trained to help patients understand how to protect themselves from environmental toxins. In an effort to fill the need for environmental health information, PSR and the Pediatric Environmental Health Specialty Units (PEHSUs) have updated the sought-after clinical resource, our Pediatric Environmental Health Toolkit (PEHT), and launched a mobile-device-ready platform. The PEHT is endorsed by the American Academy of Pediatrics. Offers anticipatory guidance keyed to patient age, from prenatal through teen years, on topics from how to avoid toxicants in the home, to healthy eating practices. The PEHT makes it easy for clinicians to provide simple, evidenced-based steps to families on how to reduce toxic exposures in their daily lives. At the bottom of the screen you’ll see an icon depicting a square with an arrow in it. Click the square and some options should pop up. Launch Chrome for Android and open the PEHT website http://peht.ucsf.edu. Tap the menu button, the 3 vertical dots in the upper right-hand corner. The Greater Boston and San Francisco Bay Area chapters of PSR, in partnership with the PEHSU at the University of California, San Francisco, and a team of pediatricians from around the country, developed the original Pediatric PEHT in 2006. The PEHT was pilot tested, with positive reviews, at 17 practices by 34 pediatric and family practice providers in Massachusetts and California. A secondary test coupled with CME training programs in 5 states—CA, MN, MA, OR and WA—was conducted during 2006 and 2007. Results were very positive: about half gave an “excellent” rating for 3 of the 4 domains: overall content, design, and ease of use with patients. Free PEHT online course offering continuing education credit through the Agency for Toxic Substances and Disease Registry.